The soft open preview of Fiamma Centro starts this week and they are open for business! The new location on Elton Street will be open in the evenings so check out the Facebook page or website for more info on exact hours. I’ve been an immense fan of Fiamma ever since they opened their Gates location in 2012. Part of my mission has been for people to make the short drive outside the city to try the phenomenal Neopolitan style pizzas that they have been slinging from their wood fired oven. For the last few years there have been rumblings about getting a location more centrally located in the city with plenty of fits and starts that have been frustrating to all involved. Multiple locations were considered and a fire occurred but now Fiamma Centro is ready for action and we’ll all be more full of pizza for it. Thankfully things have settled out and Fiamma Centro started the soft open period last night on Elton Street in the Neighborhood of the Arts. I love the area it is located and the final design of the restaurant is striking from the inside. The red tiled wood fired oven is the centerpiece focus of the main floor and it is beautifully lit after the sun goes down. The main floor features a standup table perfect for a quick pizza or cocktail from their bar. What was most important to me was that the pizza maintained the high standards set by the Gates location. 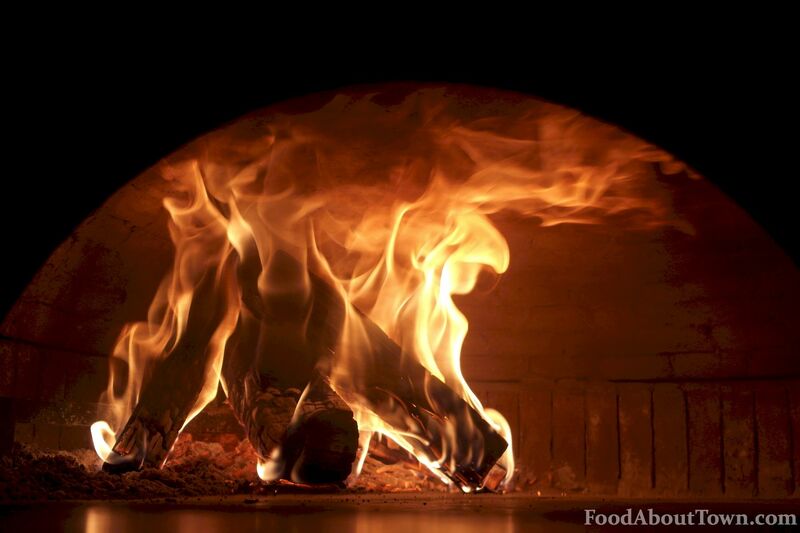 After trying some of the early pies out of the oven, I can confidently say that Fiamma Centro will be putting out Neopolitan style pizza that is going to thrill any true fan. 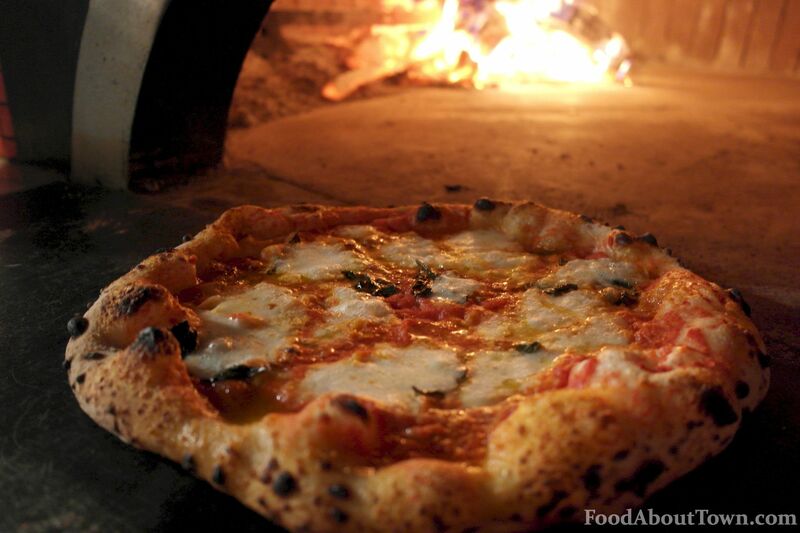 I tried a Margherita and a Positano and both were masterfully cooked in the new oven. And this is all before the oven has become fully cured where things will likely balance out more. 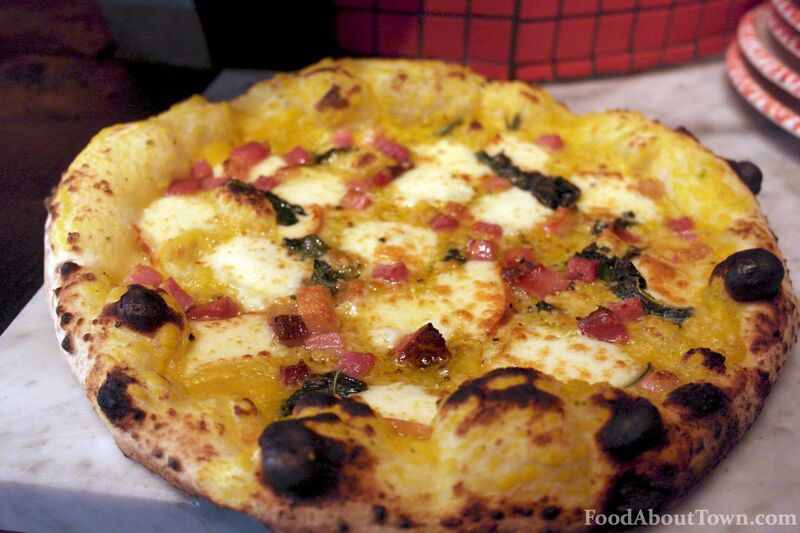 The cornicione puff I got was outstanding and both pizzas played perfectly on the edge between chewy, tenderness and crisp. I’ve had a ton of Giuseppe’s pizzas and these ranked among the best I’ve had from him. They were cooked lightning fast leaving a beautiful blend between the crust and the sauce with melted cheese. Giuseppe and his team have worked hard on getting Fiamma Centro up and running and the results paid off. Go and check out the place and get Rochester best pizza now located right in the heart of NotA. See you there!